This small domaine of only 7 hectares only came onto the scene in 1997, and in recent years, culminating in the fabulous 2015s, its reputation has been growing. 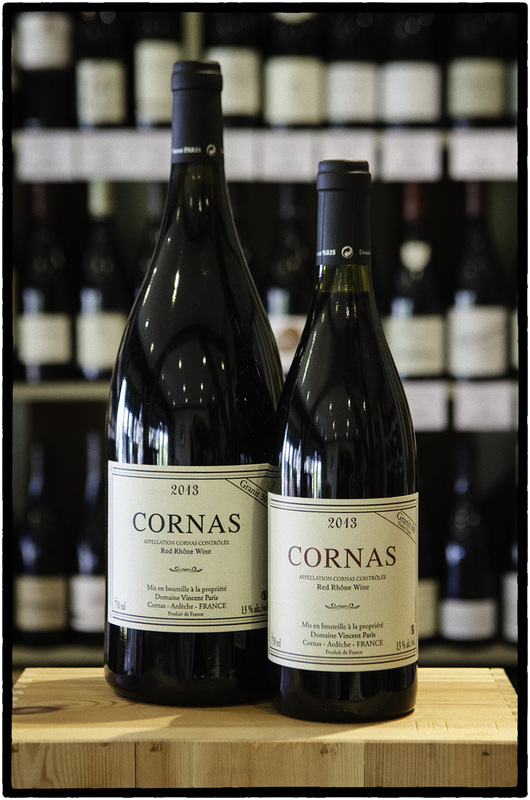 Paris is a nephew of Cornas great Robert Michel, whose vines he has in part inherited. The jewel in this particular crown is the La Geynale lieu-dit, which is based on Syrah vines planted in 1910, and was acquired for him by a consortium of wine lovers, writers and merchants which includes Paris’s UK importers, Thorman Hunt & Co and the Rhône authority John Livingstone-Learmonth, who comments that the domaine’s wines have lost an element of inconsistency since increasing SO2 levels from their very low norms prior to 2007. The names of the other wines allude to the angles of the granit slopes upon which the vines are grown, the upper 60 degree slopes, with their older vines, giving wines of great concentration and ageworthiness, whilst the younger vines on the lower, gentler 30 degree slopes give wines that are markedly lighter in both colour and body, and give pleasure much sooner. Paris balances alluringly dark perfumed fruit with rich, savoury meaty characteristics, silky textures and superb length. His reputation has been cemented by a dazzling lineup in the great 2015 vintage.